 capture of the slide sample. Visit augmentiqs.com to learn more. Circle Optics has developed the world’s first parallax free 360°camera that solves the problem of stitching. Circle Optics has eliminated the need to stitch, completely, with its unique optical solution that instantly captures a perfect 360° representation of a scene. Visit circleoptics.com to learn more. Kura is building revolutionary augmented reality glasses with core tech as a customized optical and display system. This system is able to provide a 135-degree field of view with a compact micro-display, which is 3x the field of view of conventional waveguide optics. 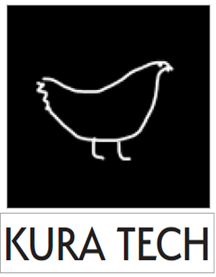 Visit kura.tech to learn more. shelf and custom imaging components, Lumedica is able to make diagnostic devices cheaper, more durable, and easier to disseminate. Visit lumedicasystems.com for more information. Mango teQ is developing frontier technology for AR hardware. Their initial focus is a retrofit Heads-Up Displays (HUD) to fit onto helmets. They also plan to integrate their technology into Smart helmets. REYEDR lets motorcyclists keep their eyes on the road. REYEDR is a true HUD and utilizes the latest holographic technology to display information at infinite focus, in the line of sight. Visit reyedr.com for more information. 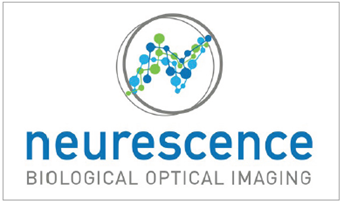 Neurescence enables functional imaging of the Central Nervous System in the level of neuronal micro-circuits and targets three significant markets: neuroscientists doing fundamental brain research to help them understand how the brain works, the drug development industry to help determine the effect of their compounds on brain circuits and predict if the drug will fail in human trials, and as a pre-surgical assessment tool to help neurosurgeons determine where in the brain to operate. Visit neurescence.com to learn more. Passports, driving licenses, and identification cards protect a country’s borders and citizens, and yet, most of these identification documents are protected by generic holograms that are easily counterfeited. Opalux’s MyImage™ embeds a person’s portrait and data into a color-shifting security feature that is virtually impossible to counterfeit, while being easy to verify without tools. Visit opalux.com to learn more. ORC is using technologies developed at Cornell University to develop haptic feedback devices to bring the virtual world to life. Their untethered, battery-powered glove will feel force with light haptic interactions mediated by stretchable optical waveguides. Visit organicroboticscorp.com to learn more. vision quality. Abnormal corneas caused by conditions like keratoconus, ocular surface abnormalities such as dry eye diseases, or corneal damage resulting from eye surgery often cause unique optical defects leading to severely impaired vision. Ovitz uses state-of-the-art optical technology and its own proprietary software algorithms to diagnose individuals with abnormal corneas and provide prescription data for individualized contact lenses. Visit o-vitz.com to learn more. technologies. VPG has developed CardioGuard: an innovative, proprietary platform technology leveraging the cameras embedded in smart devices to monitor the cardiac activities of their user. Their technology provides seamless and effortless cardiac monitoring, all the time and everywhere. Visit vpgmedical.com to learn more.